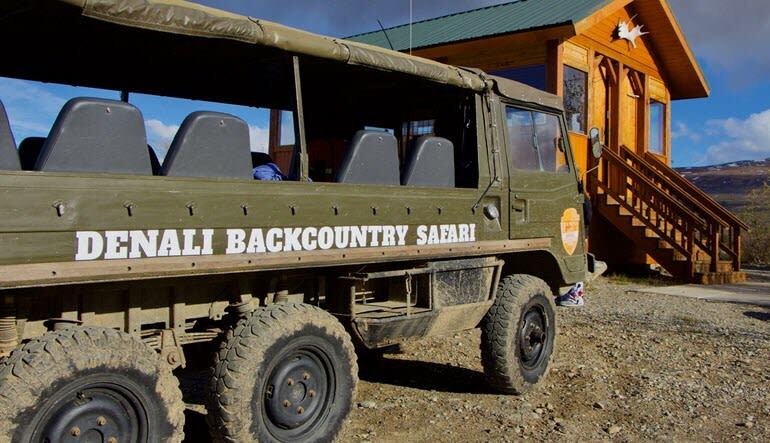 You and a small group of fellow adventurers will ride aboard a rugged 4-wheel drive safari transport on a spectacular off-road journey into Denali’s backcountry. 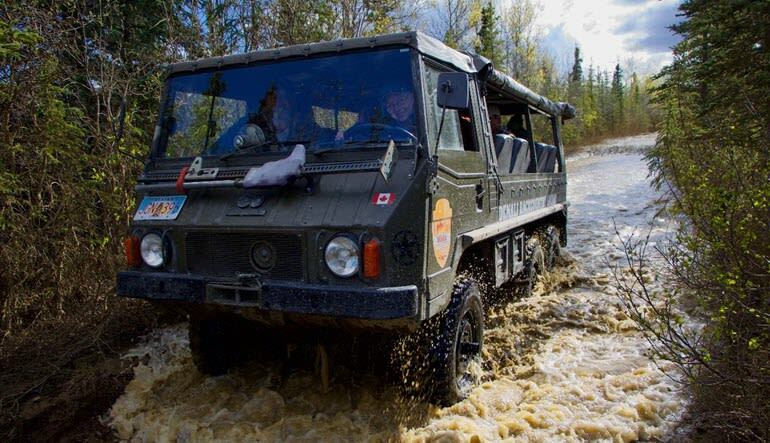 You and a small group of fellow adventurers will ride aboard a rugged 4-wheel drive safari transport on a spectacular off-road journey into Denali’s backcountry. Your adventure begins near the entrance to Denali National Park where you meet your driver-guide and head deep into the Alaskan bush. Your destination is the Stampede Trail. Not shown on most maps, this forgotten road was carved out of the wilderness by the early miners of the Kantishna region, seeking gold and antimony. The Stampede Trail gained notoriety in 1996 from the best-selling novel “Into The Wild” by Jon Krakauer, and subsequently, from the critically acclaimed motion picture directed by Sean Penn. This is the very same trail that Christopher McCandless, subject of the book and movie, took to enter the wilds of Alaska. The first few miles of the Stampede Road are paved, but beyond this point, your guide will take you along very primitive trail with plenty of bumps, mud, and off-road 4x4 adventure. 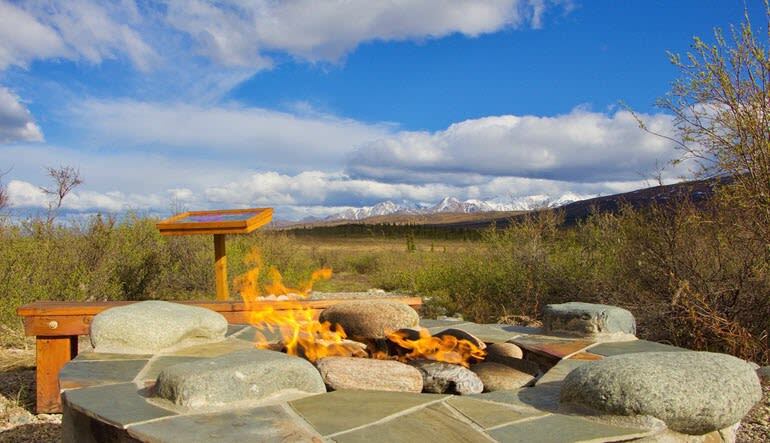 Your guide will explain the area’s rich history, point out interesting sights along the way, and allow ample time to view and explore the open tundra. Don’t forget your camera! 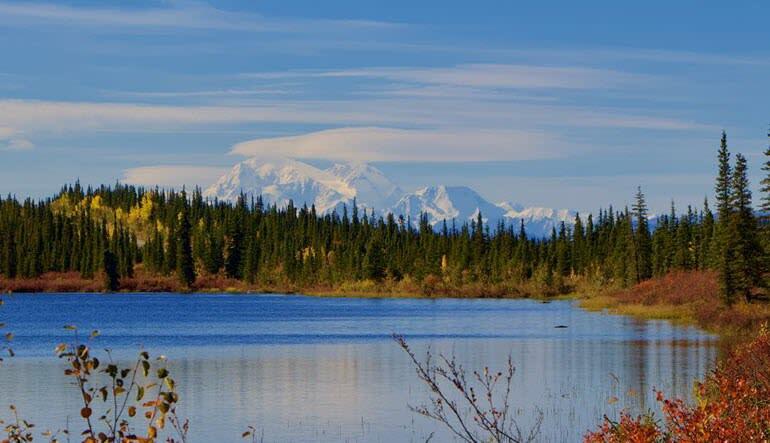 On a clear day, you may have the opportunity to see Denali (formerly Mt. McKinley) from a viewpoint along the trail. 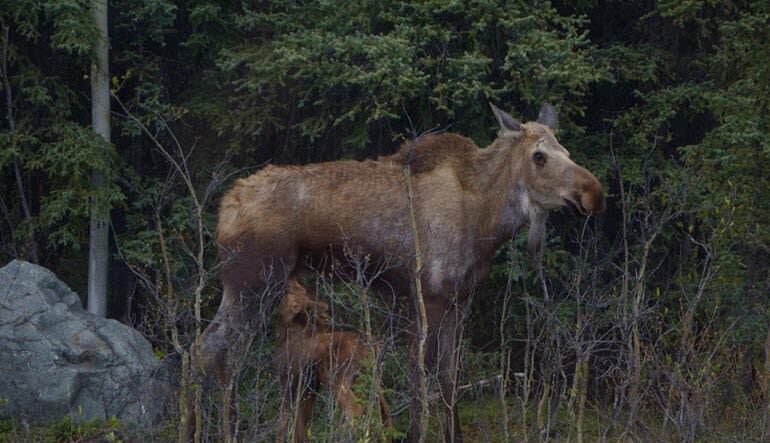 Also, be prepared for wildlife sightings--this is prime habitat for moose, caribou, bears, and foxes, as well as a multitude of smaller critters. Deep in the backcountry, you’ll enjoy a hearty Alaskan snack before winding your way back to civilization with exciting stories and photos to share.